More answers will come at next month's Geneva Motor Show. Earlier this month we learned that Subaru will be revealing not one but two electrified models at Geneva. Chances are, both will be limited to the European market, at least initially. But today the Japanese automaker has announced it will unveil a new concept as well, called the Viziv Adrenaline. This isn’t the first Viziv-themed concept we’ve seen, but this time it’s clearly a crossover. Viziv, or ‘Vision for Innovation’, is not only a styling language but it also serves as a technological preview as well. This latest concept, of which just one teaser image has been released, clearly shows a high-riding vehicle with a pair of ultra-thin side mirrors that are likely housing cameras. The C-shaped LED headlights have the familiar Viziv look we’ve seen on previous concepts, though Subaru, to its credit, has been applying some traces of that headlight design to new production models. Also take note of the curvature at the top of the windshield. But perhaps the most interesting aspect of this crossover is that it lacks a pair of rear doors. It’s also quite muscular, evidenced by its bulging fenders and rear quarter panels. And then there’s its name, ‘Adrenaline’. 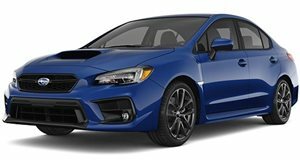 Combined with its more muscular looks and lack of rear doors, could this concept maybe, just maybe, be a thinly disguised preview of a new WRX and/or WRX STI hatchback? 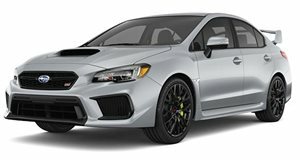 We’ve already seen a preview of the next WRX/WRX STI sedan with the Viziv Performance concept, and Subaru has not officially ruled out a hot hatch return. Anything’s possible. 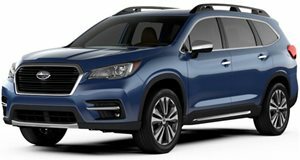 Subaru has already proved it applies Viziv styling directly to new models, such as the Viziv-7, which became the now on sale Ascent three-row, seven-passenger crossover. 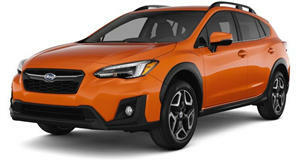 The Viziv-2 concept has become the Crosstrek. We’ll learn more next month from the showroom floor of Geneva. Stay tuned.